Last night 50 Cent's headphone brand SMS Audio jumped into the wearable technology market with a new set of earbuds that come with a built-in heart rate monitor. The new BioSport headphones were developed through a partnership with Intel, which unveiled similar technology earlier this year at CES 2014. 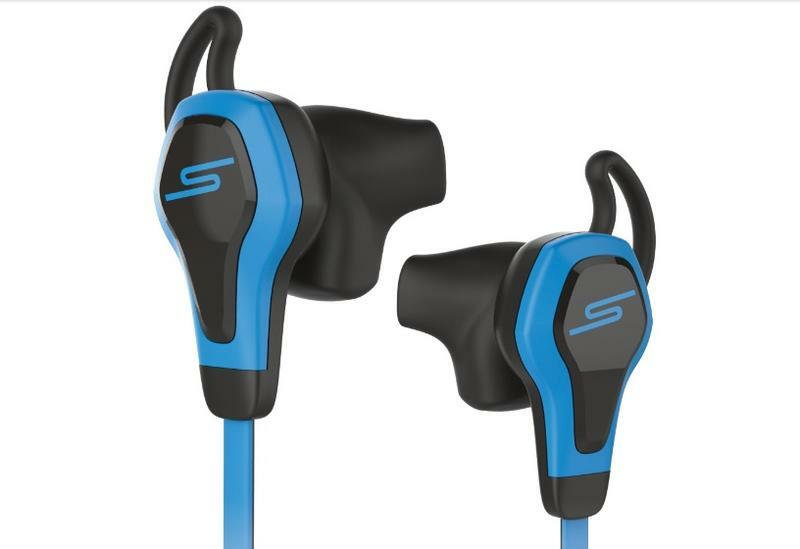 Like the rest of SMS Audio's sporty headphone lineup, these earbuds are also sweat and waterproof. The big difference here is all the extra technology that comes with BioSport, which tracks your heart rate and uses sensors to figure out when and how you're exercising. The earbuds send all that data straight to the RunKeeper app on your smartphone. Convenience is the key feature for BioSport and the biggest advantage over the competition may be the simplistic experience they offer. There's no built-in battery that needs to be charged overnight. Instead, the entire product is powered via your phone's headphone jack. That means the company probably won't release a wireless Bluetooth model any time soon, but the tradeoff seems worth it. SMS Audio hasn't said exactly when BioSport will hit the market, though the new earbuds should be available to buy before the end of the year. There's also no word on pricing. The company's non-biometric Street series water-resistant earbuds already start at $79.95, so hopefully these new earbuds will cost under $100 as well.